Super cute and personal! It's coming together so well! 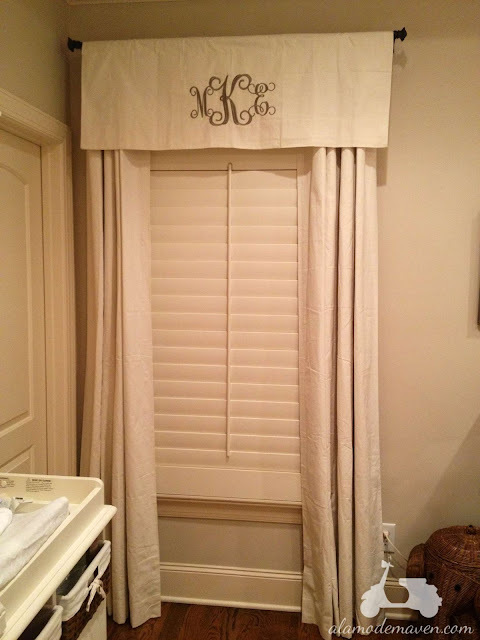 Darling for sure---and Sew What does the best work. Get your iron to it and it will look even better. LOVE your kitchen progress so much!!! 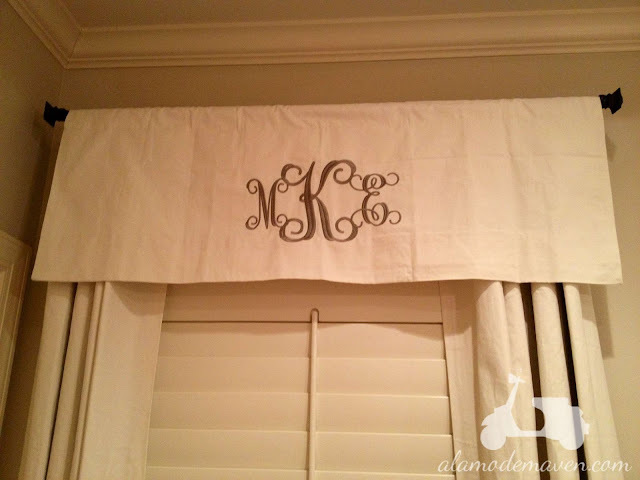 I could totally make a valance and then have Sew What monogram it. Thanks for the clever idea! I had my son's cornince mongorammed in his nursery 3 years ago and am sad that it will be coming down soon to be replaced with "big boy" furnishings. I love the idea of a valence as well! Fantastic idea! It's looks so soft and so wonderful. Wish to touch arise at the very first moment when you have seen it. much at any time when i wanna share or focus on one thing i surely come back and talk about on this blog. Wow! Great read! Some good images as well! Thanks for sharing this pretty post, really helpful. Our Epson Help Number is a centralized phone number for all devices including: printer, scanner, fax, projectors etc. Therefore, users are not required to look for various numbers to avail assistance on Epson Printer Customer care Number devices. This is a toll-free number for world-wide customers so calling on it will be absolutely free for online help and consultation. There is also an official helpline number for Epson.Any Issue are related to Epson Printer phone number 1-855-499-1999 USA.